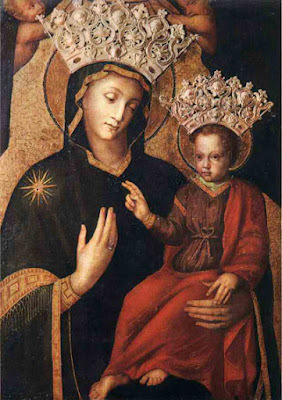 As part of the Traditional Missal, the Feast of our Lady under the title Mother of Mercy occurs each year as part of the Mass in Some Places on the 4th Sunday of July. This Feastday is kept by various religious orders in the Church. After the fall, man became subject to sin, misery, disease and death. God, Who is rich in mercy, gave us two persons animated with tenderest sentiments of compassion and mercy: Jesus and Mary. Jesus willed to become like one of us and chose to know the profoundest depths of sorrow. Mary, the Mother of Sorrows, became the loving Mother of mankind beneath the Cross. She is full of compassionate mercy. Let us entreat her help for suffering mankind. Let us especially show this consideration for those commended to us in a particular way by Our Divine Lord: the poor, the sick, the suffering, and the outcasts. Let us always show mercy, and the Immaculate Mother of God will show herself a Mother of mercy to us. O noblest Queen of the world, Mary ever Virgin, who didst bring forth Christ the Lord, the Savior of all, pray in our name for peace and salvation. 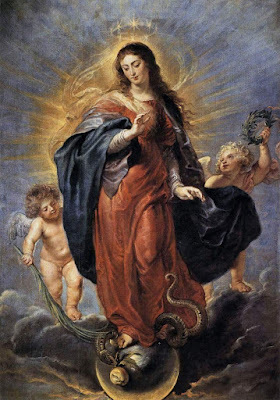 Hail Holy Queen, Mother of Mercy, our life, our sweetness and our hope. To thee do we cry, poor banished children of Eve; to thee do we sigh, mourning and weeping in this vale of tears. Turn then, most gracious Advocate, Thine eyes of mercy towards, and show unto us the blessed Fruit of Thy womb, Jesus. O clement, O loving, O sweet Virgin Mary! Let us Pray. O God, Whose compassion is without limit, show us thy mercy on earth through the most holy intercession of Mary, the Mother of Thy Son, that we may merit to attain eternal glory. Through the same Christ Our Lord. Amen. Pope Francis: "The World is At War." But With Whom? The pope said Wednesday that the "world is at war," but denied that religion is to blame. Does he not realize that the war within the Church is what has incited a spirit of war throughout the world? If the Church is "attacking itself" from within (Pope Paul VI), how do we expect the world to be at peace from without? Hence, the pope holds a measure of responsibility. The present papal administration has served to divide the Universal Church, while strengthening the unity of the global synagogue—the fomenter of all the wars. While Francis sets up barriers against ecclesial unity by forbidding religious of one country to take up residence in another, he declares it a sin to set up barriers against the jihad refugees that want to break into our western countries. The bloodshed in Europe, including the beheading of the good priest in France, is in fact a religious war. Fr. Hamel was martyred by one who deliberately sought to defame the name of the Catholic Church, yet the pope exonerates the Muslims by saying the attacks are not "a war of religion." Let us pray for Pope Francis, but with true purpose. SAINT NAZARIUS'S father was a heathen, and held a considerable post in the Roman army. His mother, Perpetua, was a zealous Christian, and was instructed by St. Peter, or his disciples, in the most perfect maxims of our holy faith. Nazarius embraced it with so much ardor that he copied in his life all the great virtues he saw in his teachers; and out of zeal for the salvation of others, he left Rome, his native city, and preached the faith in many places with a fervor and disinterestedness becoming a disciple of the Apostles. Arriving at Milan, he was there beheaded for the faith, together with CELSUS, a youth whom he carried with him to assist him in his travels. These martyrs suffered soon after Nero had raised the first persecution. Their bodies were buried separately in a garden without the city, where they were discovered and taken up by St. Ambrose, in 395. In the tomb of St. Nazarius, a vial of the Saint's blood was found as fresh and red as if it had been spilt that day. The faithful stained handkerchiefs with some drops, and also formed a certain paste with it, a portion of which St. Ambrose sent to St. Gaudentius, Bishop of Brescia. St. Ambrose conveyed the bodies of the two martyrs into the new church of the apostles, which he had just built. A woman was delivered of an evil spirit in their presence. St. Ambrose sent some of these relics to St. Paulinus of Nola, who received them, with great respect, as a most valuable present, as he testifies. REFLECTION.—The martyrs died as the outcasts of the world, but are crowned by God with immortal honor. The glory of the world is false and transitory, and an empty bubble or shadow, but that of virtue is true, solid, and permanent, even in the eyes of men. 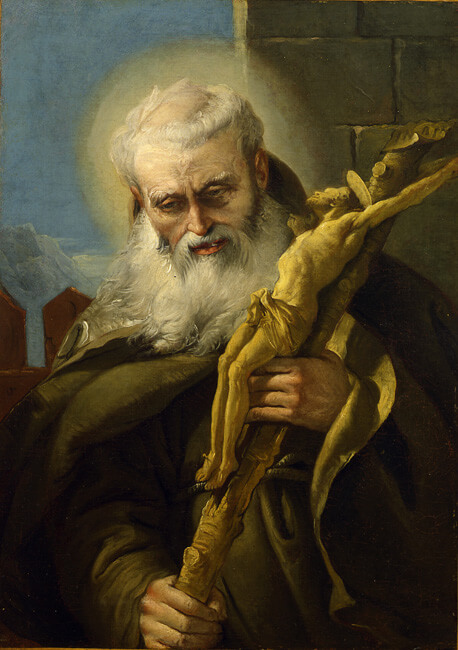 July 24th in the pre-1955 calendar is the Vigil of St. James the Greater. Sanctify and protect Your people, O Lord. Let the assistance of Your apostle James strengthen them that they may serve You with confidence and please You by their conduct. Through our Lord . . .
Catholics know that death is not the end but the beginning of a new life and so it proved with St. James. His tomb in Spain is a place of religious pilgrimage for hundreds of thousands of people every year. In the past, the Spanish people were inspired by St. James as they reconquered their country from the Muslims. In 711, General Tariq Ibn-Ziyad led a force of Islamic Moors of Arab and Berber descent to conquer most of Iberia. Fortunately, the Islamic force was halted by Charles Martel and his army at the Battle of Tours in 732. Yet most of Spain was still under foreign rule and, according to legend, Charlemagne (742-814) was recruited to rectify this situation. “Charlemagne saw a path of stars in the sky, beginning in the Frisian Sea and extending through Germany and Italy, Gaul and Aquitaine, passing directly over Gascony, Vasconia, Navarre and Spain to Galicia, where the body of Saint James lay buried and undiscovered. Looking upon this stellar path several times every night, he began to mediate its meaning. A knight of splendid appearance, more handsome than words can describe, appeared to Charlemagne one evening in a vision as he sat in deep meditation. “What are you doing, my son?” the knight asked. The historical Charlemagne was forced to retreat from the Muslims in Spain and then tragically, the Basques attacked his baggage train and killed Roland, the warden of the Breton March. The incident inspired the Song of Roland but brought the Spanish people no closer to freedom. However, the Reconquista had already begun in 718 when Pelagius defeated an Islamic Umayyad patrol in the Battle of Covadonga in Galencia. Although there were occasional forays into Galencia, the Muslims never controlled this part of Spain. Galencia was incorporated into Asturias, a Christian kingdom in the northwest of Spain. In 1122, Pope Calixrus II granted a Holy Year to the Cathedral of Santiago de Compostela when July 25th (Saint James’ feast day) falls on a Sunday. On that year, the Holy Door is open from January 1st to December 31st and pilgrims are granted special indulgencies. The years 2004, 2010, 2021 and 2027 were or will be Holy Years and there are usually more pilgrims during these years. The Codex Calixtinus, an illustrated manuscript of the 12th century, is a description of the pilgrimage to the Cathedral of Santiago de Compostela and includes music, stories of St. James, miracles and advice about the route. Despite its name, it was not written by Pope Calixrus II but by unknown authors and organized by Aymeric Picaud, a French scholar. Throughout the ages, pilgrims have had different reasons to visit the tomb of St. James. Some came to worship, others to fulfil a vow, still others petitioned the saint to alleviate their or other’s distress. Fray Miguel Capeller and Fray Leonardo de Gratia, for instance, were sent to ask St. James to stop the plague in Barcelona in 1465 (The Way of Saint James, pg. 123). Church authorities sometimes required penitents to make the pilgrimage to atone for their sins. There were several official roads to Santiago – the one from France being one of the most popular. Most pilgrims purchase a credencial - a small book which is marked by the local church or town hall with an official St. James stamp as the pilgrim progresses on his or her journey. The pilgrim must travel at least 100 km by foot or 200 km by bicycle (about 62 and 127 miles respectively) to receive the compostela. The compostela is a certificate of achievement given by the Pilgrim’s Office to those who arrive at Santiago de Compostela after traveling the required distance. According to the Confraternity of Saint James, the pilgrimage is still popular with 272,135 receiving the compostela in 2010 (a Holy Year) and 262,469 in 2015. There are legends of St. James on his white horse leading the Spanish to victory against the Moors. The Spanish achieved their final victory in 1492 when Ferdinand and Isabella defeated the last Moorish army and Spain was finally free. R. My memory, my understanding * and my entire will * All I have and call my own. * Thou hast given all to me, * To Thee, O Lord, I return it. * Everything belongs to Thee; * do with it as Thou wilt. * Give me only Thy love and Thy grace, * That is enough for me. Amen. V. Soul of Christ, R. Sanctify me. V. Body of Christ, R. Save me. V. Blood of Christ, R. Inebriate me. V. Water from the side of Christ, R. Wash me. V. Passion of Christ, R. Strengthen me. V. O Good Jesus (☨), R. Hear me. V. Within Thy wounds, R. Shelter me. V. Separated from Thee, R. Let me never be. V. From the evil one, R. Protect me. V. At the hour of my death, R. Call me. V. Into Thy presence, R. Lead me. V. That I may praise Thee, R. With all Thy angels and saints, forever and ever. Amen. V. Lord, do Thou teach me to be generous. R. We humbly beseech thee to obtain for us from Almighty God, * above all things else, * deliverance from sin, * which is the greatest of evils, * and next, from those scourges * wherewith the Lord chastises the sins of His people. R. To employ ourselves continually in laboring for the greater glory of God * and the good of our fellowmen; * obtain for us, likewise, from the loving Heart of Jesus (☨) Our Lord, * that grace which is the crown of all graces, * that is to say, the grace of final perseverance and everlasting happiness. * Amen. Today is the Feast of St. Camillus of Lellis (1550 - 1614), the renowned founder of the Camillians, an order dedicated to the care of the sick. 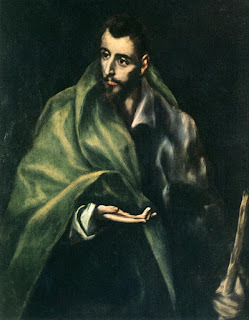 The life of St. Camillus should serve as an inspiration to us - he was not born perfect. After his mother died, he was virtually abandoned by his father. He fought against the Turks as a young man but after an addiction to gambling, he was completely destitute. Inspired to become a Capuchin, he was unable to be professed in the area due to a disease of his leg which he contracted from the war which progressively became work. 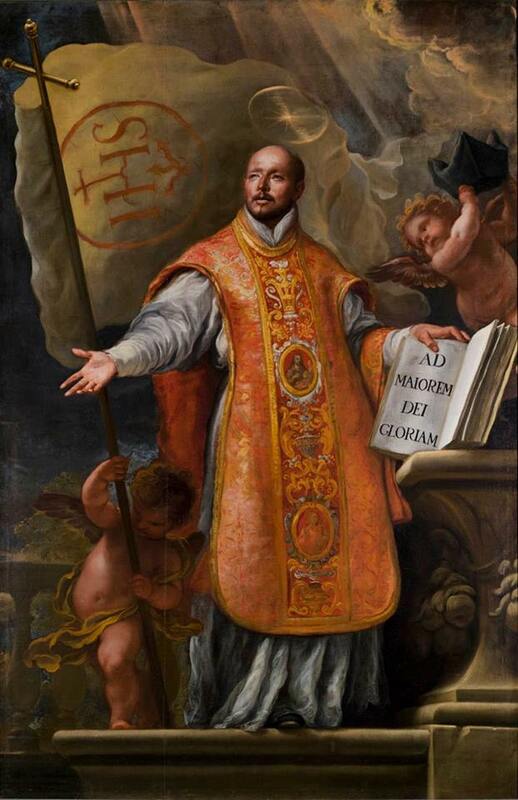 St. Camillus dedicated himself to caring for the sick and he became director of a hospital in Rome. His spiritual director was the illustrious St. Philip Neri. With St. Neri's consent, St. Camillus was ordained a priest and founded a congregation with two others. St. Camillus, Founder of the Ministers of the Sick (Camellians), ministered initially to the sick of Holy Ghost Hospital in Rome. In 1588, they moved to a new house in Naples and worked to care for the many stricken by the plague. 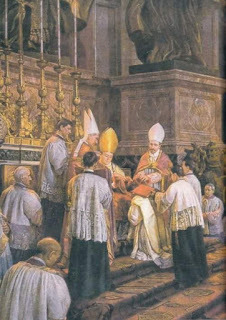 In 1591, Pope Gregory XIV made the Congregation into an order to serve the sick. That year, members of the order were sent to Hungary and Croatia to minister to wounded troops - this was the first field medical unit. In 1607, after a long battle with illness, St. Camillus resigned as Superior of his order and died on July 25 of that year. He was canonized in 1746 and, along with St. John of God, was declared patron saint of the sick as well as patron saint of nurses and nursing groups. The body of this saint is today preserved in Rome in the altar of the Church of St. Mary Magdalene, along with several of his relics. Also on display is the Cross which spoke to Camillus, and asked him, "Why are you afraid? Do you not realize that this is not your work but mine?" O holy saint of God, pray for us! Pray for the sick and for our doctors and physicians to serve the True God and fight against the evils of the culture of death. In the Church of Saint Mary Magdalene in Rome, there is a picture of the Blessed Virgin Mary which is specially venerated under the title of Help of the Sick. This picture is said to have been painted by the celebrated Dominican painter, Blessed Fra Angelico and before it Pope St Pius V is said to have prayed for the victory of the Christian fleet during the Battle of Lepanto (1571). 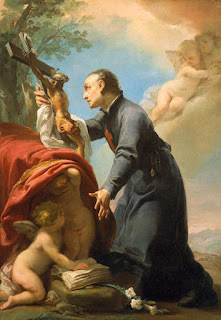 This picture suggested to a brother of the Order of Saint Camillus de Lellis, Ferdinand Vicari, the idea of founding a confraternity under the invocation of the Virgin Mary for the poor sick. The confraternity was canonically erected in the above-mentioned church in 1860. 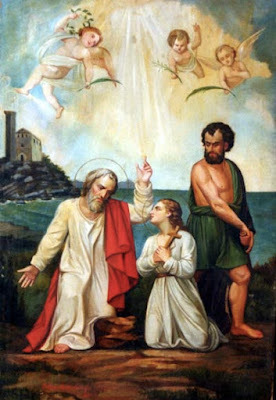 The scapular is black and the front has an image of the above picture of the Virgin Mary and at her feet St. Joseph and St. Camillus, the two other patrons of the sick and of the confraternity. The other side has a little red cloth cross. Indulgences were granted by Popes Pius IX and Leo XIII in 1860 and 1883; these were last ratified by the Congregation of Indulgences, 21 July 1883. Why is The Church in a Crisis? And How Can Religious Education Be the Cure? What is the Greatest Issue Facing Your Parish? • What if I told you, “Only 20% of the students that graduate from University XYZ acquire employment.” You would think that this is a worthless university. In fact, it’s accreditation should probably be re-investigated. • Well that is exactly what’s happening in the Catholic Church in the United States. Only 20% of Catholics that go through our system later apply that faith to their lives when they reach the age of 23. The other 80% drop out! • Religious Education has not been effectively stopping the decline in the Church. Catholics have the most ex-members out of any religious group in the United States. Why are we losing so many adherents? 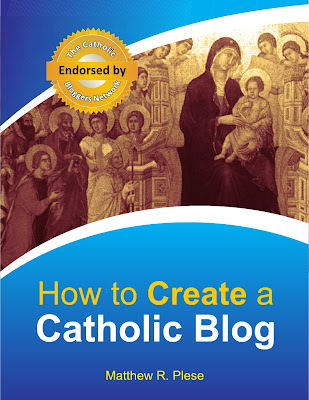 Why are so many ignorant to basic Catholic principles like the Real Presence? What can you do about this? What if there was a way to improve your parish’s religious education, reach students using their interests, and better educate both the students and the parents? CatechismClass.com uses New Media Technology in order to meet students where they are at. Founded in 2004 by Fr. James D. Zatalava of Altoona, PA, our organization has provided Sacramental Preparation and enrichment programs to adults and children for over a decade. Over 5,000 students have taken our godparent preparation program alone. 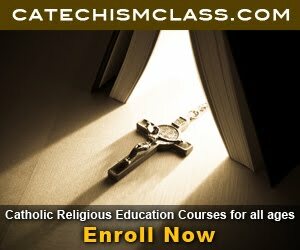 CatechismClass.com operates with the singular goal of being the best online Catholic catechesis program in the world. Through our extensive surveys and market research, our students leave our programs knowing more on the Faith and remaining committed to the Catholic Church in the ensuing years. We handle the planning, the material gathering, and much of the teaching. You have no more need for expensive book purchases and the evaluating and grading. All you have to do is login and you're ready to go! We don't require expensive books. Everything is done online. 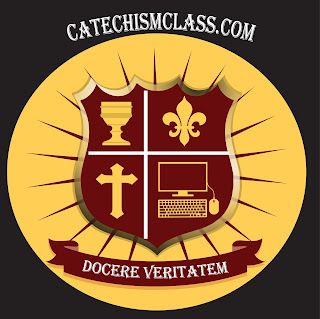 As a result of our programs, it is our goal for parents, pastors and bishops to possess the capacity to educate the students in their care with the highest quality, most authentic catechetical product possible, with the ability to utilize it in the most convenient, state of the art, and fully accountable manner available. Don’t Wait! Visit us today at CatechismClass.com and browse our course offerings today. 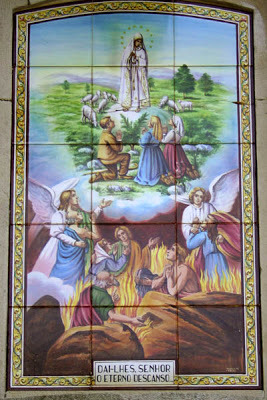 Today is the 99th Anniversary of the Blessed Virgin Mary's appearance in Fatima and the Vision of Hell. You can read a more thorough account of the apparition by clicking here. I have a rather controversial topic to share with you today – hell. It’s not very popular these days. Some even doubt its existence or, saying it does exist, they say no one is actually sent there. Well, Our Lady was never concerned about being popular, and she certainly believes hell exists. What’s more, the Mother of Mercy knew she had to show hell to us all – through the three shepherd children – in order to save souls from going there. Because, regardless of the latest opinion poll – souls do go there. Our Lady said so. But, you may ask, did she really have to show hell and all its horrors to three little children? Would she really scare them like that? The Old Testament speaks of hell; Our Lord Jesus Christ referred to it often; and the Catholic Church has been teaching about its existence – and how to avoid it – for over 2,000 years. But Mother Mary knows her children – those in 1917 and those in 2016 – and she also knew that a picture is worth a thousand words… and this case a million. In the third Apparition of Fatima, hell was not just spoken of, it was made into a reality that those children saw with their own eyes. All you have to do is look at their faces, and you know that hell is for real. Fortunately, that is not the end of our story. It would have been cruel for Our Lady to show them hell, but then not teach us how to avoid it. Mary just wouldn’t do that! 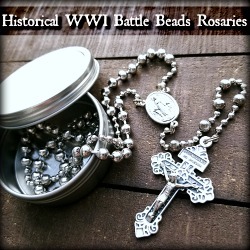 Our Lady of Fatima asks when we pray our rosary, to add this prayer after every “Glory Be”: Oh my Jesus, forgive us our sins, save us from the fires of hell; lead all souls to Heaven, especially those most in need of Thy mercy. I know you love Holy Mary. If you’re not praying this prayer already, maybe you could start today – 99 years after she showed the children hell, and most importantly, gave us all the Fatima solution. This painting of St. John Gualbert by the Italian Giovanni Domenico Tiepolo (1753, oil on canvas), showcases the extraordinary spiritual awakening of this Florentine saint. Saint John Gualbert was born in Florence during the eleventh century. 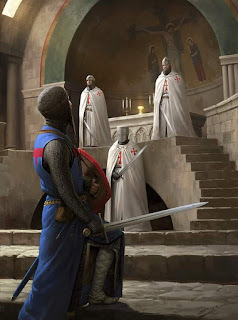 He had a younger brother who had been murdered; Gualbert pursued the murderer and was about to slay him, when the assassin extended his arms in the shape of a cross and asked for mercy in the name of Jesus Christ. Fittingly, it was on Good Friday that the solder, John Gualbert, encountered the assassin. Instead of exacting revenge, Gualbert embraced his brother’s killer. Afterward Gualbert entered a nearby church to give thanks for having resisted the impulse to commit murder. As he prayed, the image of Christ on the crucifix appeared to incline his head toward him. Gualbert was moved to forsake the world and enter a Benedictine monastery, and later founded the Vallombrosan monastic order. His Order helped spread a revival of faith and morals throughout Italy. The exaple of St. Gualbert shows us the extraordinary gift of God's grace in our lives to forgive others, as He has forgiven us by crucifying his Son by our sins, offenses, and ingratitudes. Let the blessed Abbot John intercede for us, O Lord. may his prayers win us Your help, since our own actions cannot merit it. Through our Lord . 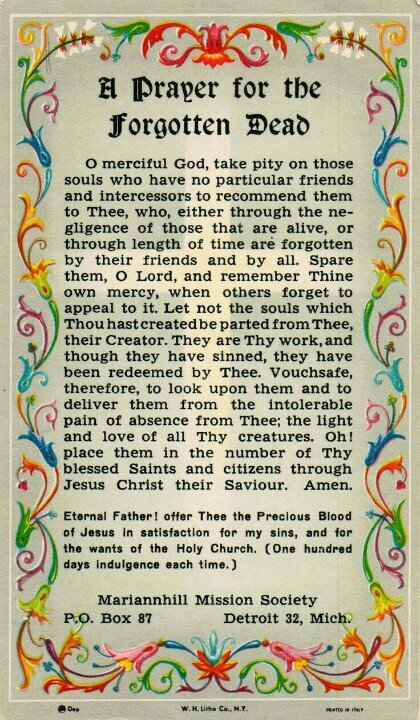 . .
O merciful God, take pity on those souls who have no particular friends and intercessors to recommend them to Thee, who, either through the negligence of those who are alive, or through length of time are forgotten by their friends and by all. Spare them, O Lord, and remember Thine own mercy, when others forget to appeal to it. Let not the souls which Thou hast created be parted from thee, their Creator.May the souls of all the faithful departed, through the mercy of God, rest in peace. Amen. Bishop Bernard Fellay, Superior General of the Society of St. Pius X announced another Rosary Crusade as a spiritual preparation for the 100th anniversary of the apparitions of Our Lady of Fatima. 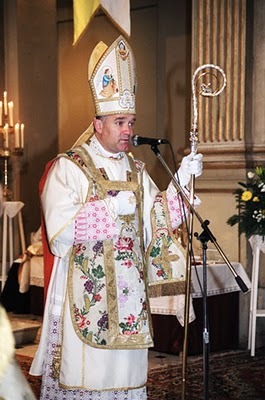 At the priestly ordinations in Zaitzkofen (Germany) on July 2, 2016, Bishop Bernard Fellay, Superior General of the Society of St. Pius X announced another Rosary Crusade as a spiritual preparation for the 100th anniversary of the apparitions of Our Lady of Fatima (May to October 1917). This crusade will be held from August 15, 2016 to August 22, 2017. It follows the intentions indicated by the Blessed Virgin herself: (I) Jesus wishes to establish in the world the devotion to the Immaculate Heart of Mary. to consecrate their homes to the Immaculate Heart of Mary. Besides the propagation of this devotion, we will also pray (II) for the triumph of the Immaculate Heart and (III) for the pope and all the bishops of the Catholic world to consecrate Russia to the Sorrowful and Immaculate Heart of Mary. And as a special intention we will add (IV) the protection of the Blessed Virgin Mary for the Society of St. Pius X and all its members in addition to all the religious communities of Tradition. The goal set by Bishop Bernard Fellay is a bouquet of 12 million rosaries and 50 million sacrifices for Our Lady of Fatima. Today at 7 AM, Fr. 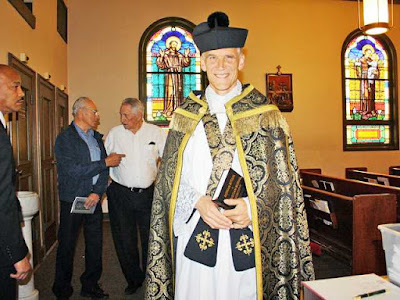 Peter Carota, the great traditional Catholic priest who was behind the blog Traditional Catholic Priest has died. Please join me in praying for his soul and having Masses said for his behalf. Please pray for his family and those spiritual children who he has left behind. Out of the depths, I have cried to Thee, O Lord, Lord, hear my voice. Let Thine ears be attentive to the voice of my supplication. If Thou, O Lord, shalt mark my iniquities, O Lord, who shall stand it? and let perpetual light shine upon them: May they rest in peace Amen. Most gentle Heart of Jesus, ever present in the Blessed Sacrament, ever consumed with burning love for the poor souls in Purgatory, have mercy on the souls of the Faithful Departed. Be not severe in Thy Judgments, but let some drops of Thy Precious Blood fall upon the devouring flames and do Thou, O merciful Savior, send Thy angels to conduct them to a place of refreshment, light and peace. Amen. In Moravia, the birthday of St. Methodius, bishop and confessor. Together with his brother, the bishop St. Cyril, whose birthday was the 14th of February, he converted many of the Slav races and their rulers to the faith of Christ. Their feast is celebrated on the 7th day of July. 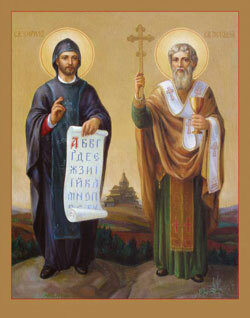 These brothers, the Apostles of the Slavs, were born in Thessalonica, in 827 and 826 respectively. Though belonging to a senatorial family they renounced secular honors and became priests. They were living in a monastery on the Bosphorus, when the Khazars sent to Constantinople for a Christian teacher. Cyril was selected and was accompanied by his brother. They learned the Khazar language and converted many of the people. Soon after the Khazar mission there was a request from the Moravians for a preacher of the Gospel. German missionaries had already labored among them, but without success. The Moravians wished a teacher who could instruct them and conduct Divine service in the Slavonic tongue. On account of their acquaintance with the language, Cyril and Methodius were chosen for their work. In preparation for it Cyril invented an alphabet and, with the help of Methodius, translated the Gospels and the necessary liturgical books into Slavonic. They went to Moravia in 863, and labored for four and a half years. Despite their success, they were regarded by the Germans with distrust, first because they had come from Constantinople where schism was rife, and again because they held the Church services in the Slavonic language. On this account the brothers were summoned to Rome by Nicholas I, who died, however, before their arrival. His successor, Adrian II, received them kindly. Convinced of their orthodoxy, he commended their missionary activity, sanctioned the Slavonic Liturgy, and ordained Cyril and Methodius bishops. Cyril, however, was not to return to Moravia. He died in Rome, 4 Feb., 869. The fruit of Saint Cyril and Saint Methodius led to the conversion of the family of Vratislav I, Duke of Bohemia. Vratislav's son would become St. Wenceslaus of Bohemia. And there were other canonized saints in his family. May the holy example and good works of these two holy brothers bring about many more saints. Kyrie eleison! Francis Open to Women Deacons? 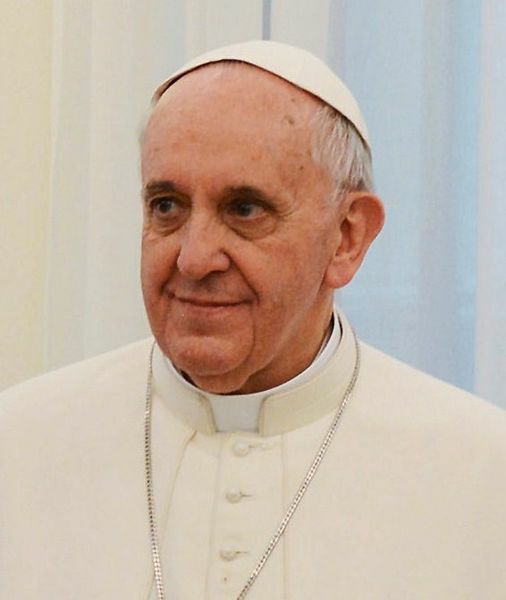 In an interview with journalists on June 26, Pope Francis feigned anger and surprise over two-month-old reports that he has opened the door to allowing women deacons in the Catholic Church. "The first to be surprised by this news was me," the Pope said on June 26 during an in-flight press briefing en route to Rome following his three-day visit to Armenia. "They said: 'The Church opens the door to deaconesses.' Really? I am a bit angry because this is not telling the truth of things." Nice try, but his speech in fact indicates he is open to the idea, since he admitted to journalists that he agreed to study the question of women deacons. "We had heard that in the first centuries there were deaconesses, the pope said. "One could study this and one could make a commission. Nothing more has been requested." Herein we see applied the typical modernist ploy of pretending a theological question is open for discussion when in fact it has already been decided by the Church for centuries. If Francis is open to studying the question of women deacons, then clearly he is open to allowing them. If he was truly against women deacons and was resolved never to allow such a thing, he would never consider a commission to study this. Nor would he be open to feminists that are proposing this. It was their clamor for women deacons this past spring that led him to study this question. In a special audience on May 12, the pope addressed 800 members of the International Union of Superiors General (USIG) which largely focuses on the role of women in the Church, and obstacles "hindering" it. The question was raised as to whether or not there were ordained women deacons in the early Church, at which time one of the sisters asked the pope: "Why not construct an official commission that might study the question" of opening the diaconate to women. "I believe yes," the pope said. "It would do good for the Church to clarify this point. I am in agreement. I will speak to do something like this," adding later that "it seems useful to me to have a commission that would clarify this well." The pope's action indeed has opened the door to women deacons, which in turn has been a spur for feminists. Of such women Francis said on June 26, "Woman's thought is important." Noting how women think differently from men, he said, "One cannot make a good decision without listening to women." Oh Really? Adam listened to Eve, and look what happened to the human race! Is Francis advocating that the clergy should do the same? His aberration of seeing women as authorities is seen in his General Audience of April 15, 2015, in which he said that "more weight and more authority must be given to women," emphasizing that women should not only be heard, but be given a "recognized authority." With this same frame of reference, the pope earlier this year sanctioned a special section of L'Osservatore Romano entitled "Women-Church-World," in which three writers have been calling for a reexamination of Church policy. Since March 1 the Vatican's official newspaper has been publishing essays suggesting that women now be allowed to give homilies at Mass. Sister Catherine Aubin, a Dominican theologian, argues that women should be allowed to lead spiritual retreats and do homilies at Mass. She asks, "Why can’t women also preach in front of everyone during the celebration of Mass?" Sister Madeleine Fredell who preaches to various ecumenical congregations including the Lutheran Church, says, "I believe that listening to the voice of women at the time of the homily would enrich our Catholic worship." These are the very people—these and others like them—that have been clamoring for a commission to examine the question of women deacons. Unfortunately, the idea of women deacons, as with women homilists, lectors, speakers, and Eucharistic ministers, is a closed book, as it completely breaks with the Church's 2000 year tradition. According to Christ, His Apostles, and the saints, women have no business on the altar, nor is it their place to lecture in the Church. Francis should close his ears to feminists and be open only to the Holy Spirit. Has feminism not brought with it enough promiscuity, abuse, and abortion for the pope to not know it is sinful? Does he not realize that in the same way sin entered the world through Eve, it is now entering upon his church through the brazen followers of Eve? If Pope Pius XI rightfully condemned women's participation in ministry as "a grave disorder to eliminate at all cost" (Quadragesima Anno), why would Francis now applaud such a thing? What we're seeing today in Rome is a distrust and contempt for the eternal ordinance which God in His goodness had established for His Church in the beginning. Somehow our "theologians" of today feel that tradition is outdated and is no longer effective in saving souls, despite the fact that it has so beautifully stood the test of time.